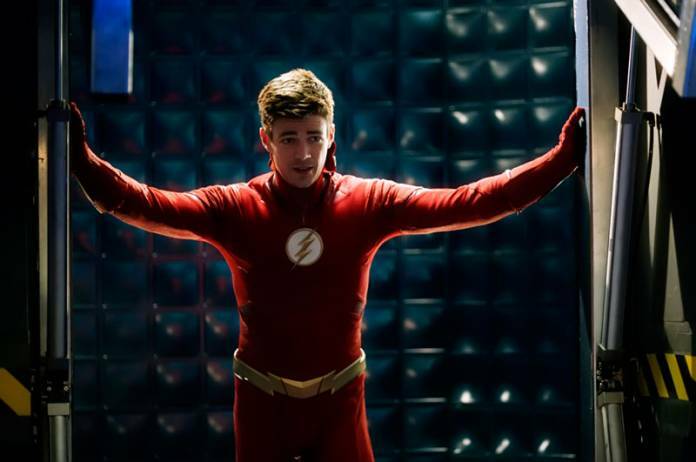 Despite its title, “The Flash & The Furious,” The Flash Episode 5.10 seemed to be lacking in speed and fury. 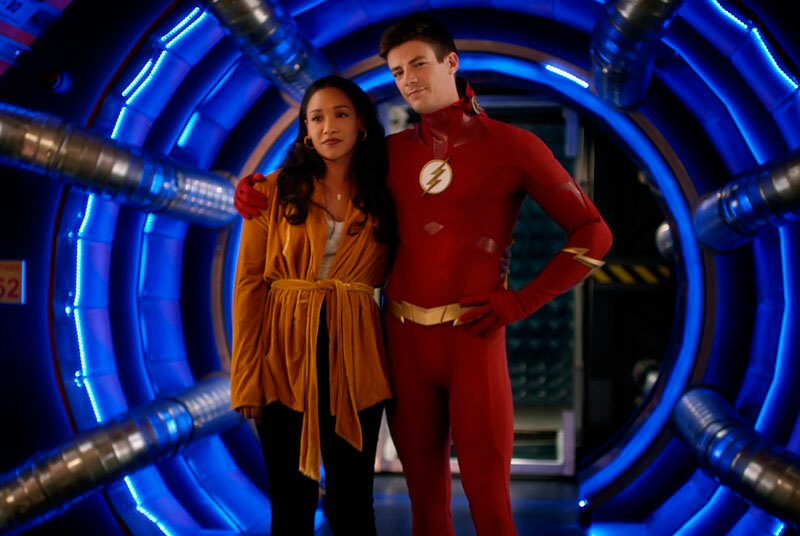 Maybe it’s because Barry was locked up in the pipeline for most of the episode, or maybe it was because we had a team-up of a new villain with a reluctant one, but the meandering storyline fell flat. Not even the few brief moments of Tom Cavanagh as Eobard Thawne were enough to get my pulse racing. 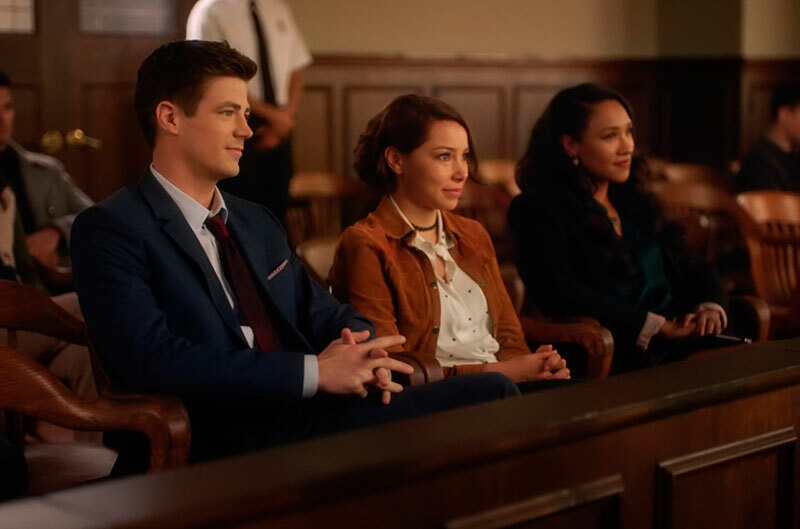 With Barry sidelined for the majority of the episode, Nora is forced to grapple with the question of whether a bad person can change and become a good person or is the villain always destined to be the villain? The answer that it depends on the person made for a rather dull episode, while still hinting at the probable duplicity and problematic partnership of Nora and Eobard. Of course, we will have to watch the rest of the season to find out how that particular relationship pans out. The episode starts in the year 2049, with Nora confronting Eobard about killing her grandmother. In his gravelly Wells whisper voice, he tells her that he thought she already knew and that yes, he’s done bad things in the past because he wanted to be the Flash but he does not want that evil to be his legacy. Nora does not buy it, and says she will no longer help him. Good for her! Back at S.T.A.R. Labs, Sherloque is asking where Nora is, just as she shows up with a suit for Barry. He has to testify at the trial against Weather Witch, which is Cecile’s first case since returning to work after maternity leave. Cecile starts out strong, but with her powers she senses Joss’s remorse. While waiting to testify, Barry is notified of a crime being committed outside and has to leave. A woman boldly stole a Lamborghini, and it will take the Flash’s speed to catch her. Barry and Nora speed off after the stolen car. Barry’s plan is to phase into the car to grab the driver, but she has meta-tech and uses a force field to throw Barry off. The field has an unusual effect: Barry can’t stop vibrating and is in danger of phasing through everything. Nora brings him back to S.T.A.R. Labs where Cisco advises Barry to phase through the floor which would put him in one of the power-dampening cells in the pipeline. Caitlin advises Barry that it will take about 24 hours for the vibrating to stop, but Barry hasn’t testified. Nora says she can take his place. Back at court, as Nora prepares to testify, Cecile tells Iris that she has changed her mind about Joss and will ask for a lighter sentence. She tells Nora to follow her lead and begins a line of questioning that shows that no one was killed at the hanger where Weather Witch threatened the populace and tried to kill Barry. Joss’s defense attorney then says that maybe it was the meta-tech in the wand that made Joss want to hurt people. This angers Nora, and totally ignoring Cecile’s cues, argues that Joss needs to be put away before she hurts anyone else. An obviously-remorseful Joss stands up agreeing with Nora; she should be put away and pay for her crimes. As she is being transported to Iron Heights, Joss is rescued by Lamborghini girl who uses her meta-tech to stop the transport and lock the police in the car. Joss is reluctant but goes with her anyway to an undisclosed warehouse hideout for the New Rogues. Lamborghini girl tells Joss that she needs her Weather Witch powers to break into A.R.G.U.S. to steal something. Joss refuses and explains that she wants to turn herself in. Lamborghini girl lets her leave, telling her that she will be back once she learns that everyone will always see Joss as a criminal. Weather Witch fakes a hurricane in Central City to get the attention of the Flash, but it is Nora who shows up. Joss explains to her that she wants to turn herself in; that she is not the criminal that her father was. We think that Nora is going to help her, but no, she brings her to CCPD headquarters, and turns her over as an escaped criminal. Nora is not buying Joss’s reformed act. It’s time for the weekly heart to heart. Iris tells Nora that people can change, and that if Nora doesn’t believe her, she can ask Barry who always has the ability to find the good in people. Nora does and Barry tells her about his friendship with Leonard Snart who turned out to be a hero. Nora asks Barry if he thinks that even someone like Eobard Thawne can change and Barry hesitates, and says yes, maybe, sometime down the line… in the future. So, we know where Nora will be going with that little bit of insight. Lamborghini girl, who has by now been identified as Raya Van Zandt, a dishonorably discharged former military person with the code name Silver Ghost, again rescues Weather Witch who agrees to help her with her plan to break into A.R.G.U.S. The object they steal is a multimillion-dollar high-tech stealth vehicle designed by – Wayne Tech. But instead of stealing the modified Batmobile and laying low, Silver Ghost decides to go joy-riding through Central City to test it out. It’s a cool car to be sure, although I was disappointed in the bright tablet-style control system with the cartoony icons – very unexpected from something that originated in Gotham. 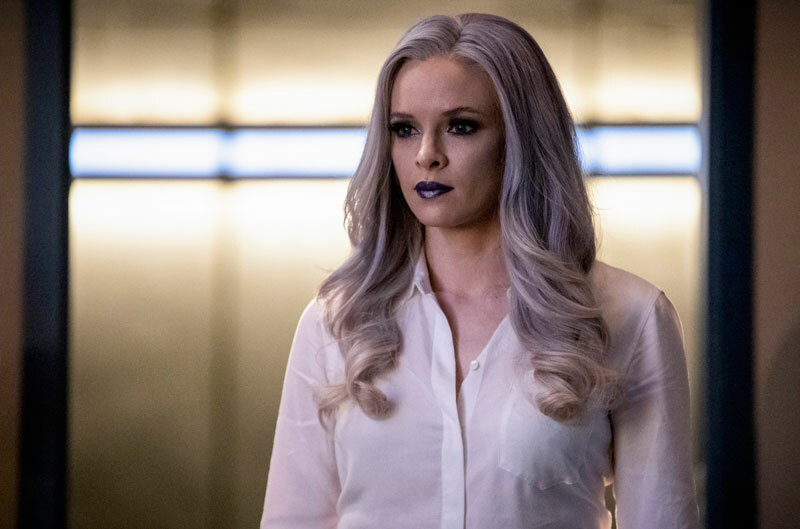 It does have all the bells and whistles though as we see when XS and Killer Frost try to retrieve the stolen vehicle and capture the two villains who stole it. Ice couldn’t stop the car, it can phase through matter; the car is equipped with missiles and remote detonators; and there is a cloaking device that renders it invisible. As the invisible car races toward XS, Nora speaks directly to Joss, saying that she was wrong not to believe that she is not the villain her father was, and asks for a second chance. Joss, who has been the unhappy passenger on Silver Ghost’s joy ride, uses her wand to cause ice to form on the road. Silver Ghost loses control of the car on the ice, but the two are able to get away before they are captured. Nora and Caitlin go back to S.T.A.R. Labs just in time to watch Barry walk out of his cell. Nora apologizes to Cecile about the case, and she is forgiven, saying there’s always next time. Elsewhere in the episode, Caitlin removes the remaining shards of Cicada’s dagger from Cisco’s hands. Cisco gets the bright idea to use the shards to create a formula to cure metahumans. Caitlin thinks it’s a bad idea, she felt part of her was missing when Killer Frost was gone. But Cisco is done with being Vibe; the incident with Cicada has him worried that he will always be a target for someone and that would not be good for the wife and family that he hopes to have one day. 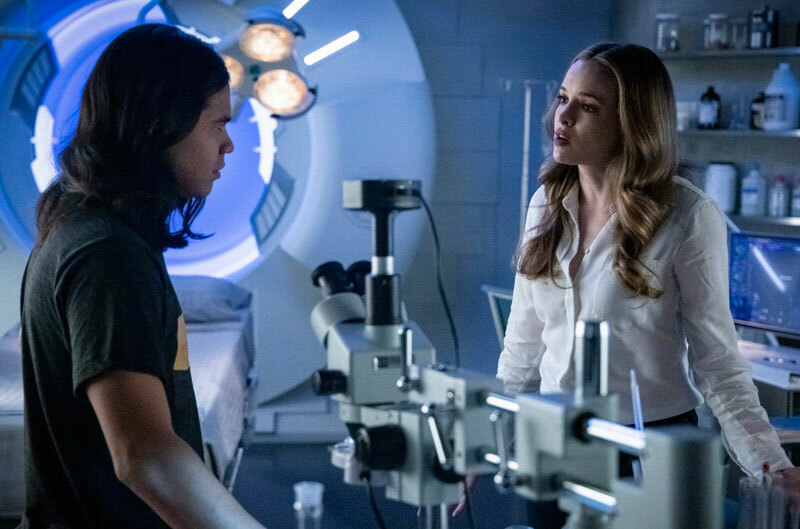 Killer Frost actually destroys the shards because she does not want to be cured out of existence, but by the end of the episode Caitlin agrees to help Cisco come up with a cure and takes him to her father’s lab where he was working on a similar formula. The deal is that this ‘cure’ would be a choice for anyone with meta abilities. I have a bad feeling about this because if such a cure could be weaponized, or if it falls into the hands of someone like Cicada, that would be bad news all around. Also in this episode, Sherloque is suspicious of Nora and is still working on trying to decipher the code in her journal. I actually liked Sherloque in this quest to find out the truth about Nora. He asks Barry about the code and learns that Gideon has the info about the code. The end of the episode has Sherloque in the time vault, asking Gideon for all of the files on Nora. He learns that all of those files were destroyed – by Nora! In the end, Nora returns to 2049 and faces Thawne again. She still doesn’t fully trust him but is willing to help. Thawne is happy and points out that his time is running out – directing her attention to a clock on the wall counting down from 51:54. Is Eobard Thawne about to be executed? The introduction of the New Rogues: It looks like there will be a fresh batch of villains for the Flash to battle against in future episodes. So far, it’s Weather Witch and Silver Ghost, but I’m sure there will be more. The Stealth Vehicle coming from Wayne Tech: I am loving the inclusion of Batwoman into the Arrowverse and hope that this vehicle will be the new Batmobile. Joe West: This episode finally explained the absence of Joe from the show. He has taken the baby to visit with Wally and is in no hurry to get back after dealing with Cicada’s threat. Jesse L. Martin will be returning as Detective Joe West after recovering from a back injury. We will see him in again in Episode 15. Sherloque Wells: I had not warmed up to this season’s incarnation of Harrison Wells, but he has won my admiration for his investigation into Nora. Obviously Sherloque’s skepticism and suspicions are warranted, and he will not rest until he has an answer. I’m looking forward to how this storyline will play out. Tell us what you thought of the episode in the comments below. You can watch a preview for the next episode, titled “Seeing Red,” using the player below.